How do we use geothermal for photosynthesis to grow our plants? A thermoelectric generator has no moving parts. A heat engine has moving parts that can wear out and requires a cold sink which will heat up during use, becoming less effective over a short amount of time. Geothermal works as a cold sink; problem solved? As the heat engine operates, heat from the heat source is transferred into the cold sink, raising the temperature of the cold sink, which reduces the effectiveness of the heat engine over time. Now ... how much electricity are we going to need? It'd have to tie to the current annual crops needed per person, taking into account what people eat, plus what the animals that people eat eat. Estimate the quantity of light needed, and then back calculate the quantity of W needed to power all that light, given the most efficient light sources (I'm presuming LED). Knowing next to nothing about what these figures might be, it does however 'feel like' we'd need something like 10-1000 times as much electrical generation as we currently have, in order to generate all that light. At Friðheimar we strive to grow the tastiest tomatoes we can, while respecting nature. Our tomatoes are cultivated all year round using the latest technology, in an environmentally-friendly way: green energy, pure water and organic pest controls combine to produce fresh, healthful tomatoes. If it's the case that another such impact would cause an extended "winter," and would threaten the majority of plant life, then in order to survive, humanity would need to figure out pretty quickly how to generate enough electricity to run electric lighting (and probably heating) in order to be able to continue to grow enough crops to feed people, and after that to feed livestock for eating as well. We'd have to abandon livestock, except for a limited number for the time when the dust settled. Our limited resources would have to be focused on plant food, since only about 10% of the food in plants is recovered when you use it to feed an animal and use that for food. Right now we are Blessed with the sun shining down on us, and if ever that is interrupted for not even all that long, every plant on earth will soon die, and we will be soon starving, writ large. It's one reason that I suggest that resources are far better spent preparing for such a cataclysm, than on how to stabilize global climate change, even if it is real. It's an interesting problem. Probabilities matter. So the probability of severe consequences for global warming in the next century is close to 1.0, while the probability of a strike by a sufficiently large body to cause a global catastrophe capable of killing off mankind in the same period is about 0.000005. But it's not quite that simple. It is very, very unlikely that runaway warming will kill all of us, while a 50km asteroid, might very well do that. And for that, you'd have to put a value on a few millions of people vs. the billions who would die if the Earth was hit by a large body, including the very real possibility that it would kill all of us. If we had to generate this much electricity, then how would we do it? We have the technology now, to use geothermal. But it would be too late to start even a few years before such a strike. And seeing as geothermal in most areas is hard to get to, that probably isn't the answer. And can we learn anything from this investigation that might help us now, that might even help us now to address global climate change now, if it is real? I figure that if we have enough time, technology can save us. I don't know how much time. Given the likelihood of a large body hitting the Earth anytime soon is very small (but we should be keeping an eye out for that, because we could possibly nudge it to miss the Earth if we started early enough)I'd say we should focus on the problem of warming. As you probably know, it won't affect every area equally. There will be winners and losers. The thing is, the losers will move into other areas. 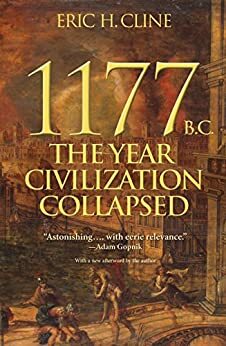 Last couple of times there were climate disruptions, it led to wars, disease and the collapse of empires. So what to do? Work on technology. There is no downside to using solar wherever feasible. One reason we are now an oil-exporting nation is that we are using less fossil energy to do the things we need. Iowa is now generating about 35% of its electrical energy from wind. Texas and Washington state are also using wind effectively. Part of the problem is that we don't know exactly where some major tipping points might be, such as turnover of methane. Methane is a more efficient greenhouse gas than carbon dioxide, and the Arctic lands release a lot of it. If they get warmer, they'll release it faster, which would feed on itself. Use heat to make steam to drive generators. That high of heat is only found in limited areas. In most locations you will need to drill down several miles to reach that high of a geothermal heat source. Yep. But efficiency requires a high temperature gradient. You could build huge Stirling engines to run on lower differences, but they are low torque devices, and don't work very well. Drilling several miles down is feasible. In a pinch, Yellowstone could become a huge energy farm. The park is essentially one large volcanic caldera. And the magma is very close to the surface, there. Any event that would deny people the sun would wipe everyone out. There's no point making contingencies for life after an extinction-level event. The impact of 15km asteroid would be devastating, although it probably wouldn't kill everyone. We'd lose a sizeable proportion of the world's people unless we had decades to prepare. But since geothermal heat would continue, and since the technology for using it is available, there would be many areas where it could be employed. Fossil fuels would presumably still be available, and since the darkness would likely last for years, but not for decades, survivors could hang on. And the location of the impact would matter. An ocean strike might cause more casualties initially, but all that water vapor going into the atmosphere would mean more rain to clear the atmosphere, and more of whatever infrared we'd get from the sun would be retained. It would be a very different world afterwards, but one with human survivors, I think.